Dr. Emanuel Rudolph (1927 – 1992) and his wife, Ann Rudolph (1935 – 1991), were passionate collectors of botanical prints and books. Their extensive library consisting of 53,000 volumes was bequeathed to The Ohio State University and distributed to several libraries. It was Dr. Rudolph's desire to have his collection of over 700 botanical prints donated to Chadwick Arboretum & Learning Gardens. Dr. Rudolph was a respected and much beloved professor in the biological sciences at The Ohio State University from 1961 until his death in 1992. In addition to his distinguished work as a Polar Lichenologist, Dr. Rudolph became nationally known for his broad interests in the history of nineteenth and early twentieth century biology and botany. 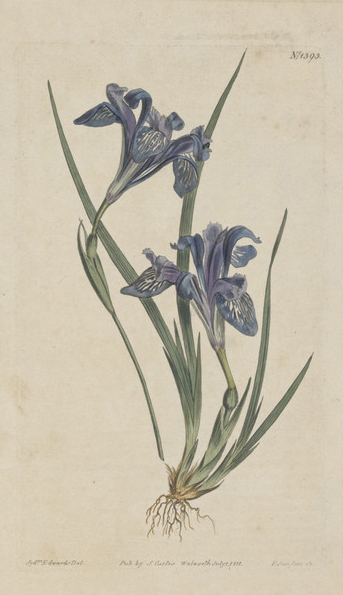 His inclination to collect botanical illustrations was not limited to an appreciation of their artistic merit, but also included an awareness of their value in tracing the history of the natural sciences. In viewing Dr. Emanuel Rudolph's remarkable collection of botanical illustrations, one can embark upon a 500 year journey through the development of botanical knowledge and a parallel trip through the evolution of botanical depiction. It is unfortunate that we do not know the exact intentions behind each of the selections Dr. Rudolph acquired, but we can be sure that in its totality he meant to reconstruct a pictorial history of botany upon which much present knowledge is based. Dr. Rudolph believed that the use of botanical illustration was a way of “enhancing natural history writings and making them more universally valuable to experienced and beginning naturalists alike.” His contention that trained illustrators played an important role in the development of botany became more focused in his investigation of the work of little known nineteenth century American illustrator Isaac Sprague. 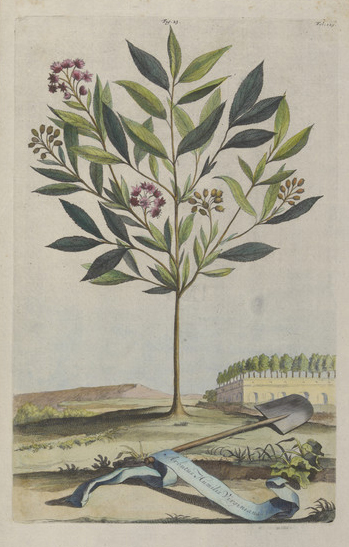 To view the complete collection of over 700 images, click Dr. Emanuel Rudolph Botanical Print Collection and click browse. 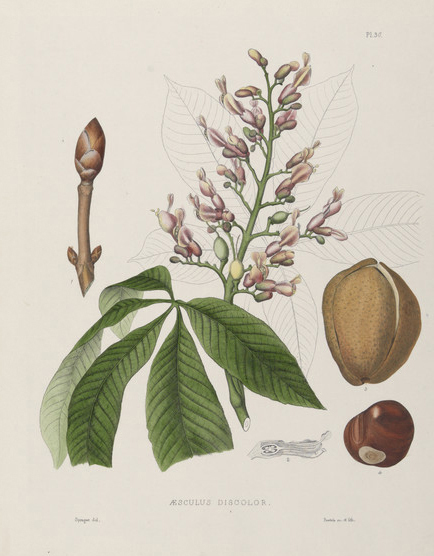 The collection of botanical illustrations was moved from the OSU Thompson Library to Howlett Hall on January 8, 2004. Great care was taken to move the 40 framed pieces and approximately 700 unframed prints. The move was organized by Professor Tm Rhodus, Elaine Eberlin, and Bud Witney and it went very smoothly. The next step was to catalog the collection. There is very little documentation associated with the illustrations so cataloging them posed a challenge. We were fortunate to have some background information on 40 pieces that were framed and exhibited in 1998 at the Columbus Museum of Art. Elaine Eberlin, Systems Specialist and Certified Picture Framer® began to disassemble the framed pieces. She used her knowledge as a CPF® and additional research to determine what products would be best for long-term storage of the art. In addition to offering several innovations which provide users unique views of the collection, the online database supports a dynamic QR code system which automatically links each image to a unique code that can be utilized in other media. Further, this dedicated team is in the process of developing an ePub digital publication what will present the original items that were on display in the Columbus Museum of Art. Users with an iPad can view background information and interactive images. Chadwick Arboretum has presented two art exhibits that included selected botanical illustrations from the Rudolph Collection. One was at The Columbus Museum of Art in 1998. The second exhibit was in 2003 at the International Master Gardener Conference in Cincinnati, OH. Chadwick Arboretum & Learning Gardens has a dream of creating a traveling exhibit some day for public gardens and museums around the nation.